Carl Alberg designed a custom wooden racing yacht named Katuna. 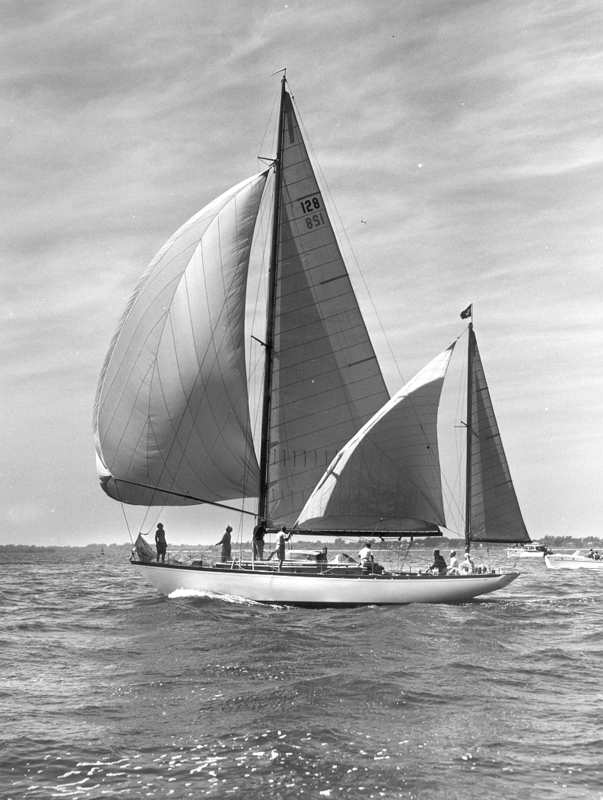 She was built by my father and uncle, William E. and Eric J. Simms at Simms Brothers, Dorchester, Mass. in 1948. She was built for Mr. Gilbert Verney of New Hampshire. She won many races. The Simms Brothers Boat Yard opened in 1933 on Freeport Street, Dorchester, Mass. Many Navy vessels and yachts were built there before the property was acquired, in 1957, by the Department of Public Works to build the Southeast Expressway.